NFA Boy's Track Team Continues to Succeed! Matthew Haynes won the sophomore boys 1000m run (2:40.19) new school sophomore record and John Abrams place 5th at the New Balance Invitational this weekend. Newburgh's 4X400m relays finished in 1st and 2nd place at the New Balance Invitational held at the New York Armory. The "A" Team (2nd row) setting a new meet record 3:35.16. James Onwuka,Elijah Ullah,Amaury Ruud, and Matthew Worrell. "B" Team Esteban Lopez,Sam Montes,Nicholas Beaquette, and Xaiver Williams. 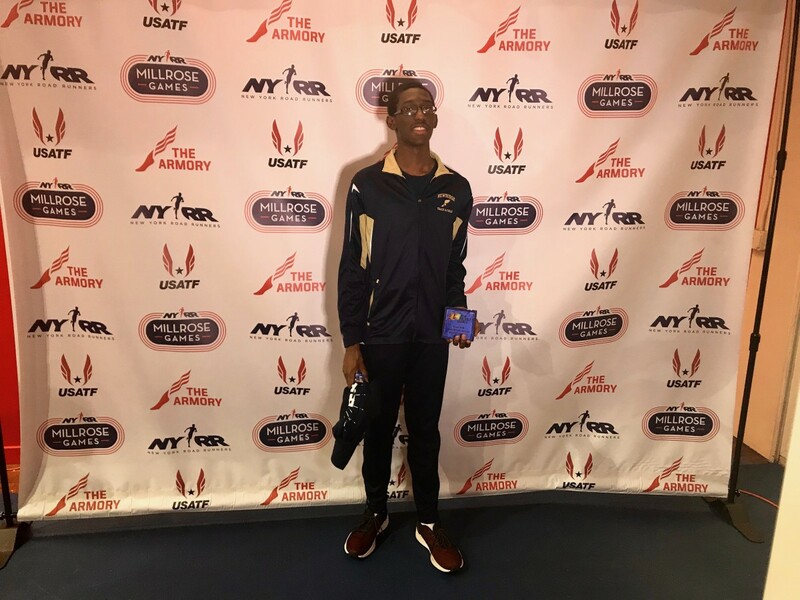 Xaiver wins the boys Middle School 55m dash (7.34) at The New Balance Invitational held at the New York Armory. Photos and story provided by Coach Malcolm Burks.